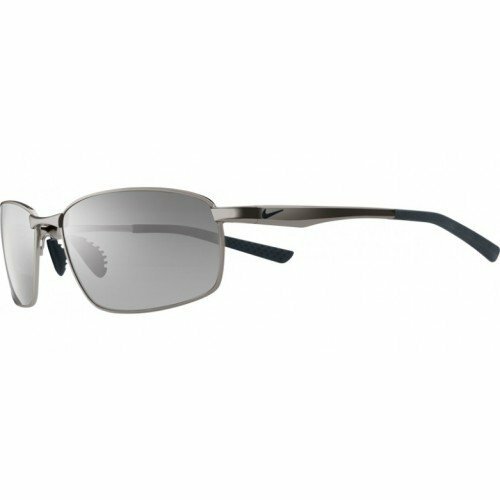 Most sunglasses owners are familiar with polarized lenses and agree that they’re very effective at reducing glare. All too often, this technology is given too much credit for doing many things that it doesn’t do very well if at all. Understanding what polarized lenses do will prevent misconceptions that can potentially harm your eyes, such as assuming polarization alone, is an effective UV blocker. Better understanding will also open your eyes to other uses that might not have occurred to you. Without getting too technical, light behaves like a wave. If you watch a buoy in the water, you will notice that it moves up and down when a wave moves past it. Although each wave moves across the top of the water, the water itself vertically moves up and down. You could call this a vertical water wave. It turns out that light has vertical waves, horizontal waves, and others in between. Reflected light from horizontal surfaces such as water puddles has horizontal waves. We will call this horizontal light. When normally used, polarized glasses block horizontal light. However, if you tip your head to the side so that your left eye is above your right eye, then the glasses would only block vertical waves. You can test this at a pond. Wearing them normally will block reflected glare, but the glare will return when tipping your head to the side. When walking along a wet street, your polarized glasses will block glare from puddles (horizontal surfaces) but not glare from windows on buildings (vertical surfaces). This effect will reverse when tipping your head sideways. UV is a component of sunlight. This means glasses that are only polarized, will block UV light reflected from horizontal surfaces. On the other hand, vertical UV light will pass through your glasses into your eyes. Light from the sky has a mix of vertical and horizontal UV light. This is why polarized lenses don’t provide complete UV protection. Most polarized sunglasses, including Nike sunglasses, are either made from a material that blocks UV, or have a UV blocking coating. However, you should always check for a label that says 100% UVA and UVB protection. Although both polarized and tinted glasses reduce glare, they do it in different ways. Tinted glasses allow both horizontal and vertical light to pass through, and reduce the intensity of both equally. This means it reduces the intensity of glare but doesn’t completely eliminate it. For example, glare from puddles is still visible but is greatly reduced with a sufficiently dark tint. is means you should never use them for night driving even if your glasses have no tint. Polarized sunglasses are useful for cutting out road glare from sunlight reflecting off the backs of cars, wet pavement, puddles, and from distant bodies of water. Whether you’re driving a car, riding a bicycle, or walking along the road, a pair of Nike polarized sunglasses will cut out the glare. If you are active in water sports such as fishing and boating, Nike polarized sunglasses allow you to see beneath the water surface. When fishing, you will see fish in the water instead of a reflection of the sky. When boating in shallow water, you can see submerged objects and avoid hitting them and damaging your hull. Beach goers also use polarized sunglasses to reduce water glare, especially when the sun is low over the ocean. The above information should give you a better idea of appropriate use of polarized sunglasses and allow you to make a better purchasing decision. But if you need more help, don’t hesitate to contact us.